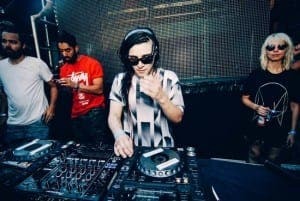 AMERICAN Dj Skrillex will play his only date in Spain at the Weekend Beach Festival in Malaga’s Torre Del Mar. The 28-year-old electronic music producer is the biggest star added to the roster for the event, which runs from 6th July to the 9th. The six-time Grammy winner will join the likes of Antonio Hierro, Break The Senses and DJ. EMM over the four day electronic extravaganza. Tickets start at €52 and are available from Ticketmaster, El Corte Ingles and elsewhere.